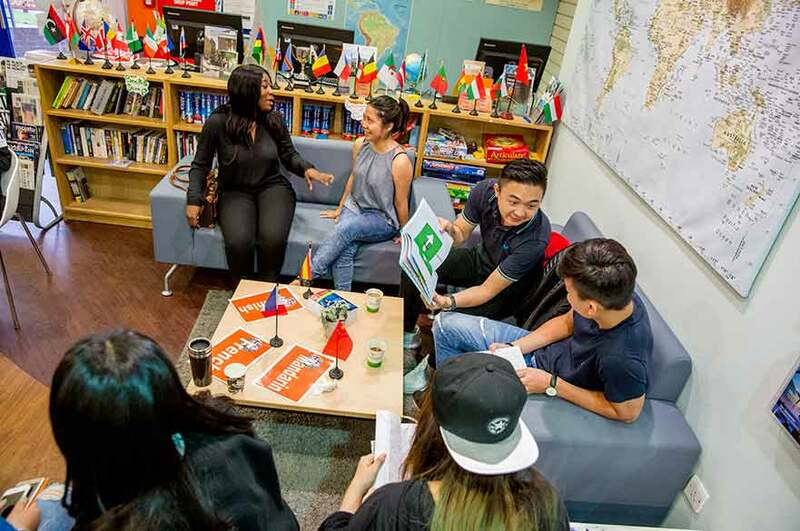 Come and expand your horizons in our Global Lounges – whether you’d like to join in with a range of inter-cultural activities, or you’re looking for exciting opportunities abroad, everyone’s welcome. What are our Global Lounges, and what will you find there? The lounges are the place to explore the international opportunities open to you here at Nottingham Trent University (NTU). We’re proud to be an international university, and we want all of our students to have a truly international experience here. At NTU you have the chance to get involved with international exchanges, and working, volunteering and studying abroad. There is a Global Lounge at our City and Clifton campuses, where you can learn all about these amazing opportunities – and more. Pop in any time and have a chat with our helpful staff. 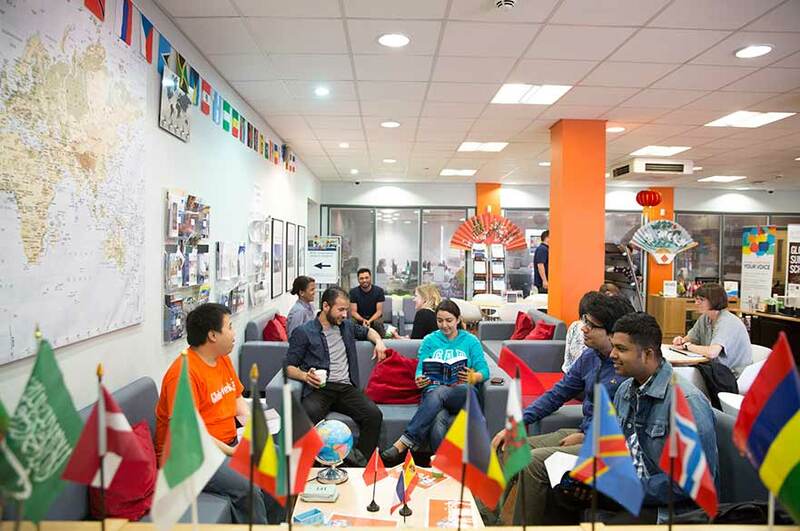 They’re also an amazing place to meet people from around the world and learn about different cultures, as well as practising your language skills. Where are our Global Lounges and what are the opening hours? 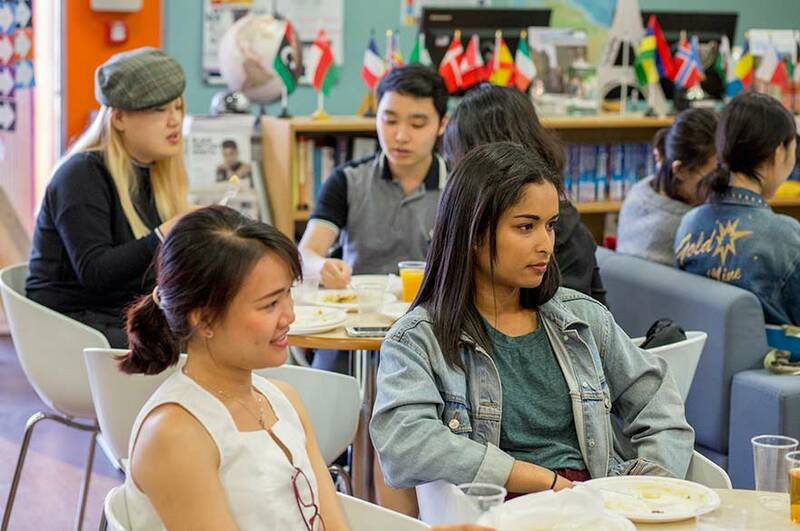 There are regular Global events happening across City and Clifton lounges, ranging from Language Cafés to Global Community Lunches. Got an idea for your own internationally-themed event, or need space for a group project or meeting? Well why not book a Global Lounge? If you need any advice on event management, promotion, or even funding, our team are on hand. Just email us for more details. NTU’s Global Lounges – come for lunch, and leave with a whole new future! Don’t miss our award-winning Global Week, an annual celebration of the rich cultural diversity here at NTU. We host a variety of cultural events, from Bollywood dance workshops and Korean movie nights to African storytelling. Find out more about the celebration, including how you can represent your country during the week, on our Global Week webpage. Email us or give us a call on +44 (0)115 848 8259.